Well done to the Cork City & County Archives for creating a new search aid that will be incredibly useful for relatives, historians and genealogists. This is a 118 page “Register of Interments St. Finbarr’s Cemetery, Glasheen Road, Cork 25 Feb 1868-14 Jun 1896” available online at http://corkarchives.ie/media/CP-CY-FI-1-web(Surname-Order).pdf . 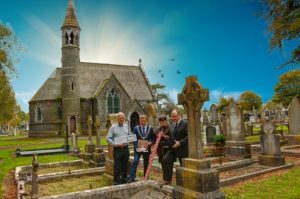 This fantastic research tool is now added to the other digitised search aids created by the CCCA (including register of St Joseph’s cemetery (1877-1917) and many other cemeteries in the city and county). Genealogy, Research digital, History, resources. permalink.